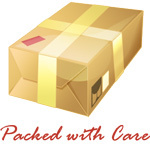 Knowledge Base :: Fake Amber Fossil Inclusions - Amber Jewelry Store | Online Gateway to Amber Necklaces, Bracelets, Prayer Beads, Baby Teething Necklaces, Pendants, Amber Stones with Insects and Amber Earrings. 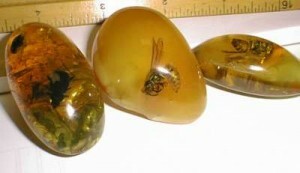 In our modern times, fake amber and fake amber fossil inclusions are practically everywhere. This industry dates back to the early 1900s, having its major source in New Zealand, where large amounts of Kaori Gum are located - the prime ingredient in the fabrication of fake amber. In the North Island, diggings of Kaori Gum would be performed daily, turning it into a major industry. It may be hard to imagine, but even the workers were so engaged in their activities that they formed their own newspaper called “The Gum Diggers Gazette”. If you wonder how this Kaori Gum was used as a surrogate for real amber, here is how it was done: the material would be melted down gently and carefully. Inclusions would then be placed into it, e.g. suitably colored insects which can easily be detected as fake fossils because true ancient amber fossils are colorless and monotone due to time usage. You might see beetle color in real amber pieces, but this is only a light refraction effect, so it is usually easy to distinguish between real inclusions and fake ones. However, the fake amber industry is full of smart and inventive people. A clever fake amber fossil inclusions method involves a section cut from one end of a real piece of amber. The space made this way inside the stone is then drilled into the main block, where an animal or insect is placed. Usually, the animal or insect is still alive and dies after the procedure, when it is surrounded by molten resin. The section that was removed in the first place is put back inside the stone and glued with a similar liquid resin. And so you have an externally perfect piece of true amber and nobody or no test can deny that. Another well known scam is the use of copal, because copal can easily melt. So rare inclusion scams are made by drilling a piece of fake amber or a real one and placing inside an organic residual. Finally, the hole is filled with molten copal and the resulted new piece is polished. It may look natural but it isn't. 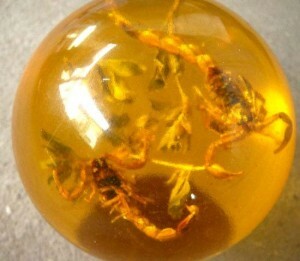 Many collectors were victims of scams such as these and bought with hard money all sorts of amber pieces with “rare inclusions” such as lizards, exotic insects and so on. They did not know that sometimes things are too good to be true. Meanwhile, dealers sold thousands of fake amber fossil inclusions and made a lot of money.